Kansas Sheriffs' Association has partnered with Resource One, a nationally known company, to conduct our new direct mail fundraising campaign. 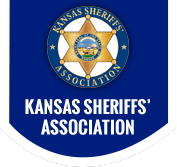 Kansas residents and businesses will soon be receiving mailings from KSA asking them to join the Association either as Honorary Members or Business Members. Regular members include active and retired Kansas Law Enforcement. KSA financially supports scholarships for high school graduates to attend Kansas colleges or universities of their choice.